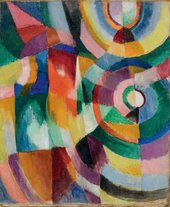 Sonia Delaunay (November 14, 1885 – December 5, 1979) was a Ukrainian-born French artist, who spent most of her working life in Paris and, with her husband Robert Delaunay and others, cofounded the Orphism art movement, noted for its use of strong colors and geometric shapes. 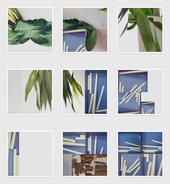 Her work extends to painting, textile design and stage set design. She was the first living female artist to have a retrospective exhibition at the Louvre in 1964, and in 1975 was named an officer of the French Legion of Honor. 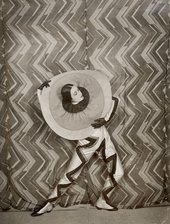 Her work in modern design included the concepts of geometric abstraction, the integration of furniture, fabrics, wall coverings, and clothing. 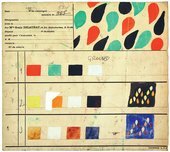 Who is Sonia Delaunay? 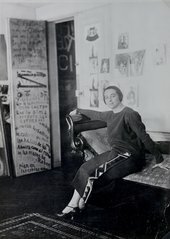 Tate looks at the main points concerning the artist and her work.